Two footloose and fancy free single women over fifty, enjoying every new house sitting opportunity. 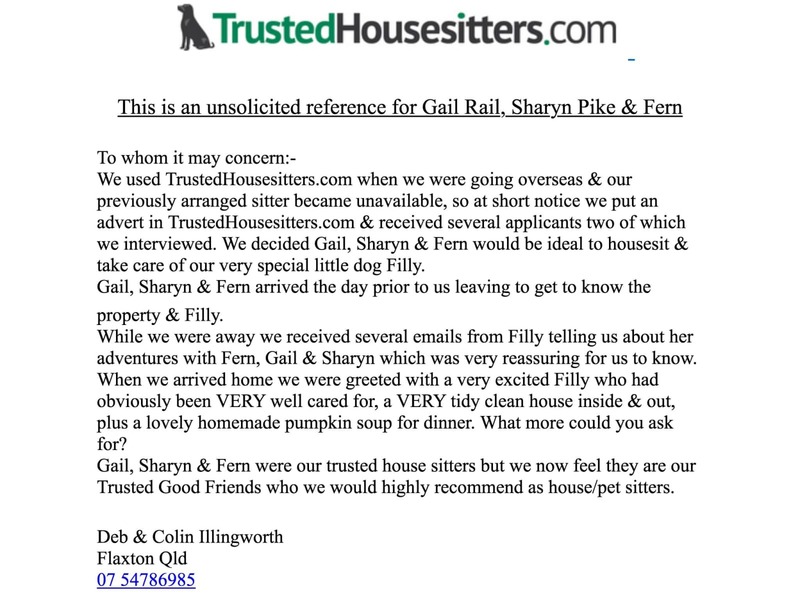 Based in Wellington, Gail is a Registered Nurse and Sharyn manages a Bureau. We have a much loved little Papillon of our own who travels wherever we go. She is obedient, and house trained. We love and respect all animals and frankly just enjoy the excitement of every new experience the universe offers us. Currently we are available for short sitting periods in NZ. 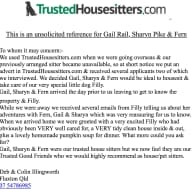 After a lifetime of families and having our own homes, we are now enjoying being free, flexible and available for whatever adventures house sitting presents to us. Previous house sitting experience with contactable references. Reliable, clean living, non smoking, pet loving and quiet lifestyle. However, we do enjoy the odd glass of wine. Mature professionals, both with police checks.